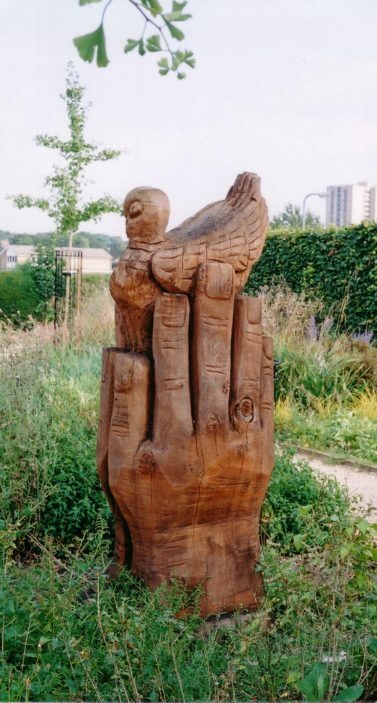 This was carved by Dennis Heath in sweet chestnut in 2000 for the Millennium Garden in King George V Playing Field. The hands represent the two world wars, holding the dove of peace. Fairlands Valley contains many examples of this chainsaw sculptor’s work, including the totem poles at the Fairlands Way car park entrance. This page was added on 12/03/2011.